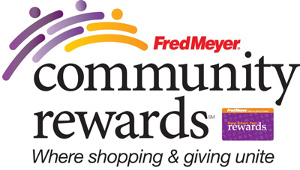 Coffee Creek Quilters is registered to participate in the Fred Meyer Community Rewards program. The retailer donates money to nonprofits based on customers who link their rewards card to their favorite nonprofits. When you link your rewards card to CCQ, it doesn’t affect your personal rewards points. Both accounts earn points, so it’s a win-win for you and for CCQ. 2. Click on the “Re-enroll or link your Rewards Card now” hot link. 4. Once you see the “Community Rewards Program” screen, type Coffee Creek Quilters or our organization number, 93429, in the box, then click on the “search” button. 5. When “Coffee Creek Quilters” shows up, click on the circle to link your card with our program, then click on the “Enroll” button. 3. Once you see the Sign-in screen, click on the “Create an account” hot link. 4. Complete the application process. 5. Activate your membership by clicking on the email sent by Fred Meyer.